An invoice is where you can find a list of products or services that a buyer is about to purchase or has requested from a seller. It is often a whole sheet of paper or a small piece of paper that also shows the prices of each product request and the total amount, including the taxes, fees, and discounts that the buyer needs to pay. You may also see customisable tax invoice templates. The focus of this article is all about invoices, mainly equipment invoices. We will be learning what it is, its uses, what are included in every equipment invoice template, and how to be able to make one. To serve as our visual aid or guide so that we can learn about the topic easily, we have also included equipment invoice templates in different forms and file types. Check them out below! What Is an Equipment Invoice? An equipment invoice is a type of invoice that is used specifically in ordering or requesting for various types of equipment. These equipment can either be big or small and for office, business, or personal use. 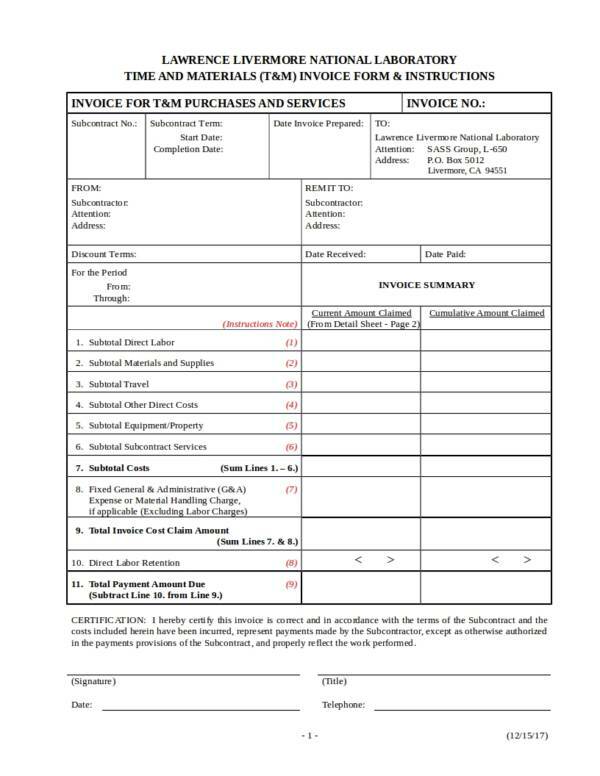 An equipment invoice, just like other invoices, provides a list of all the important details about the purchase. Examples are the names and model of each requested equipment, their unit price, any applicable discounts or promotions, the name of the buyer, the taxes and fees, and the total amount of everything in the list. Equipment invoices are often similar to other standard invoices, like vehicle invoices and IT invoices. 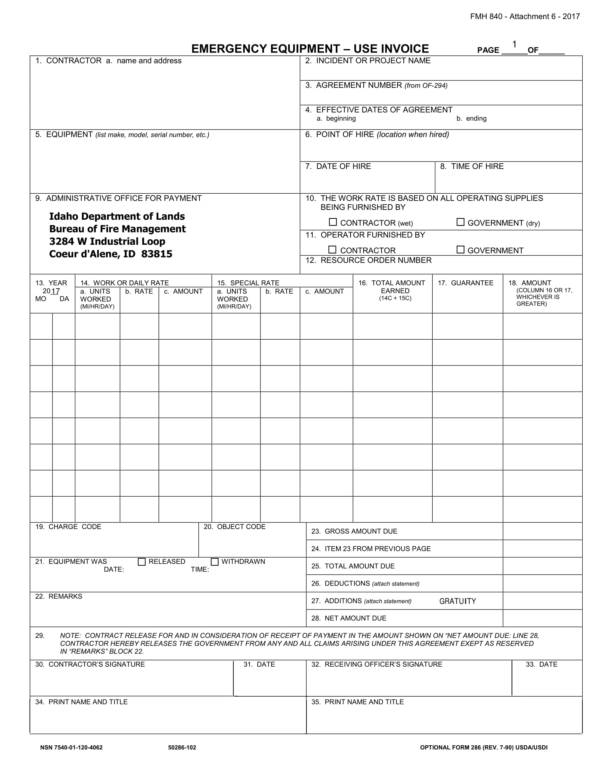 What are the uses of an equipment invoice template? We often ask this kind of question the first time we come across something that is not familiar to use, just like an equipment invoice. As a type of invoice, you probably already have an idea about what its uses are. But if you haven’t had any idea about it, then you might want to check out the list below. 1. 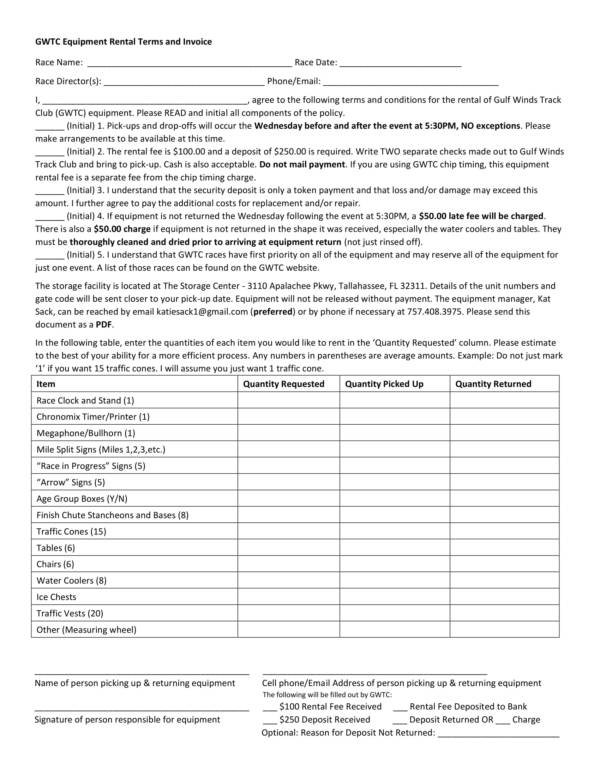 An equipment invoice template is used to record the details of any equipment purchase, including the purchase of any parts associated to a particular equipment. You may also see business invoice templates. 2. It is used to request for payment for the listed equipment and other services that has been done to it. This is how the buyer knows how much money they need to prepare to pay for the purchase of such equipment. 3. Equipment invoice templates is used to keep track of the sales transactions and the earnings of a business for a particular period of time. 4. 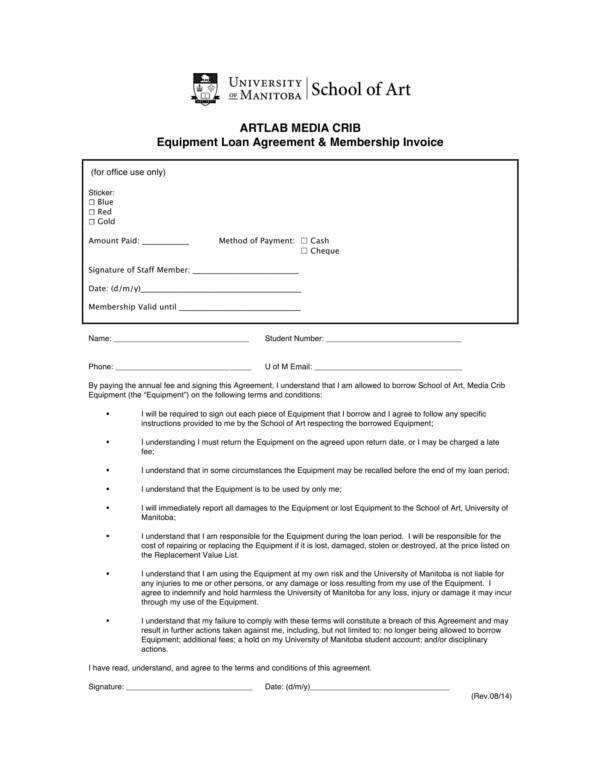 Equipment notice templates are used in inventories to help determine if the amount earned by the business is equivalent to that of the equipment that has been sold. You may also like hotel invoice samples. 5. Invoice templates are necessary documents used in accounting of expenses of a business, whether the business is the one buying the equipment or if they are the one selling the equipment. 6. It provides a detailed list of what things have been sold, which will help make inventory easy. 7. Equipment invoices are also used as proof that an entity has declared and is paying the exact amount of taxes to the appropriate government regulating body responsible for it. 8. It is one of the documents being asked for during tax audits or any other external audits or internal audits to be conducted by a business or organization. Invoice templates are truly useful, not to mention that they make recording or listing of equipment details fast and easy. Invoice templates may be used for different purposes, but some of them have many similar uses. If you are interested to learn more about invoice templates, feel free to visit our website. Some of the templates that you can see are repair invoice templates, advertising invoice templates, and commercial sales invoice samples and templates. What Is Included in an Equipment Invoice? Every part of an invoice is important and it helps ensure that the transaction is complete. Both the buyer and the seller also know what they are up to and what their responsibilities are with regard to the transaction. If you want an effective equipment invoice, the following elements should be present in it. You may also see painting invoice samples. In any invoice, it is common to have the word Invoice written on the top part of the document to help determine what the sheet is all about. The company name, address, and contact details are also placed under the header of any invoice. There are times when it is used as the header of the document. The name of the customer or buyer should always be included in an invoice so that you can identify which customer the invoice is for. In restaurants, they use the table number instead of the customer’s name to identify which invoice is for that customer. You may also like cash invoice samples. This refers to the date when the order or request for such products or services was made. It may also contain the date when the buyer has agreed to pay the total amount. This number is a unique combination of number or a mix of numbers and letters that are used by businesses to help them determine if a certain purchase was really from them. The list makes up the biggest part of the invoice. A big amount of space is allocated for the listing of the goods or services requested by the buyer. The taxes and other required fees are also important parts of an invoice. This helps you determine if the business where you are purchasing such equipment from are doing things legally. 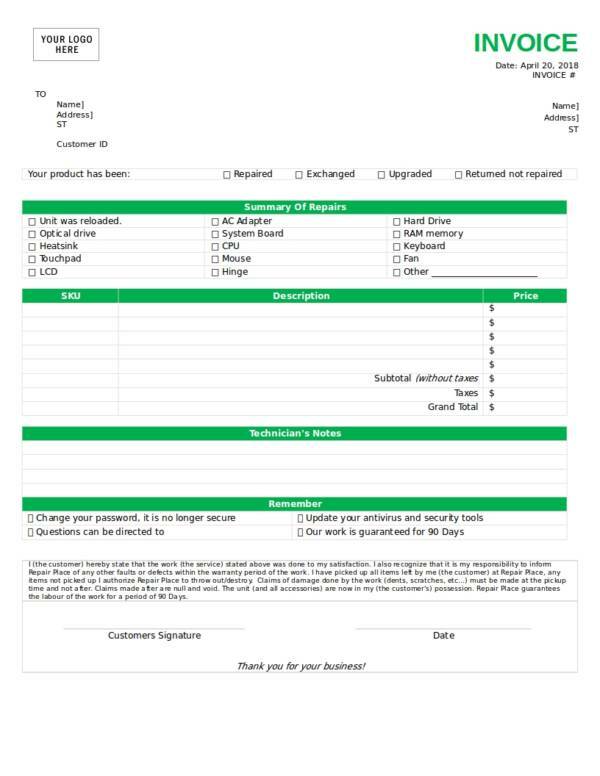 You may also check out landscaping invoice samples. Usually near the bottom part of the invoice, this is the total amount that the buyer pays. It includes the taxes, fees, and discounts that the buyer is entitled to. This refers to the mode of payment, the credit terms, and the date when the buyer agrees to make a payment for the equipment that they have ordered from the seller. You might be interested in free commercial invoice templates. Finally, to seal the deal and to make promises binding, both the buyer and the seller should sign the invoice. This indicates that they both agreed to what is written on it as well as the terms and conditions about the transaction. The next time you are faced with any form of equipment invoice, you will surely know the things to look for to avoid unwanted incidents or getting into any trouble. Looking at different invoice samples will help you familiarize with the different parts or elements that are included in different invoices. You can check out our website for samples, like purchase invoices, vendor invoices, and vehicle invoices. Making something on your own is tough, that is why you need a guide or a set of steps that you can follow to make the process easy. You may need it for your business or you may just want to learn to make one on your own. We want to help you as much as we can so we have made these easy-to-follow steps that will guide you throughout the process. You may also see sample medical invoice templates. 1. Before you start planning on what to write on your invoice template, you will first need an actual invoice as your guide so that you can easily understand the things that are mentioned in the following steps and so that you will also have an idea on what it looks like. For this, you may need to download a few standard invoice templates. 2. Create a draft or an outline of the equipment invoice that you want to make. You can base it on the samples and templates that you have downloaded. Make this draft or outline according to your preferences and needs. 3. Write down all the components or parts of the equipment invoice and arrange them the way you want it. Just make sure that it is arranged in a way that it will be easy for anyone to read and understand it. 4. 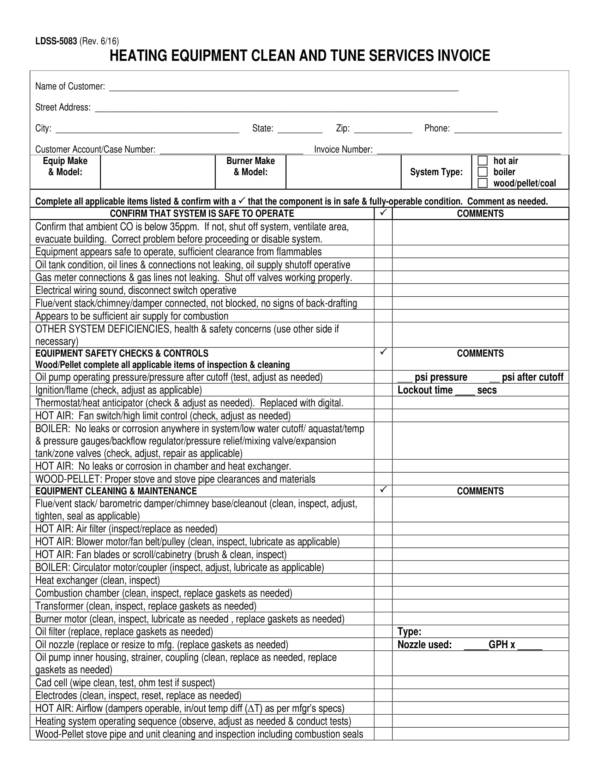 After making your draft, transfer this to your final working sheet where you will be doing most of the work. You may use any of your preferred application. You may also like consulting invoice samples. 5. Since you have already created a draft or an outline, juts simply have them transfer to your final working sheet. 6. After doing the transfer, type in the necessary details needed to complete the invoice. Write them in the appropriate spaces so that your invoice won’t look and seem confusing. 7. List down all the equipment, parts, and services that have been done or rendered. Include their corresponding prices or fees, as well as the taxes and other fees that you are required to put. You may also check out daycare invoice templates. 8. You will also need to create an invoice number. An invoice number is a unique combination of letters and numbers that are used to identify and verify if certain purchases were made in one’s store or business. 9. Put the total amount that your buyer needs to pay. Specify the payment conditions, like the mode of payment, the credit terms, and the date when the buyer should make the payment. You might be interested in catering invoice samples. 10. Save your work and then have two copies printed. 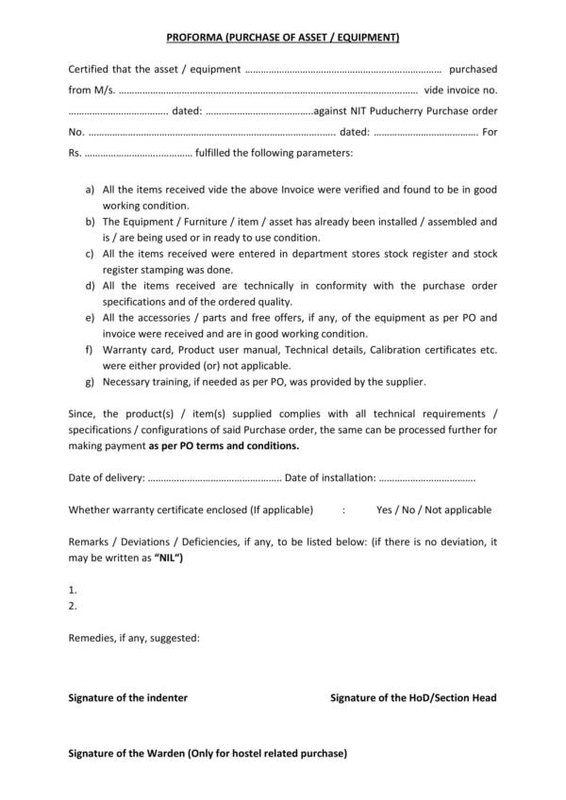 Sign the printed invoices and also have your buyer sign it. Provide a copy to your buyer and keep the other copy for your reference. If there are other invoice types that you want to make or if you wish to make one in a different file format, then you want to check them out on our website. Examples of topics you may be interested in are cash invoice templates and tax invoice templates. 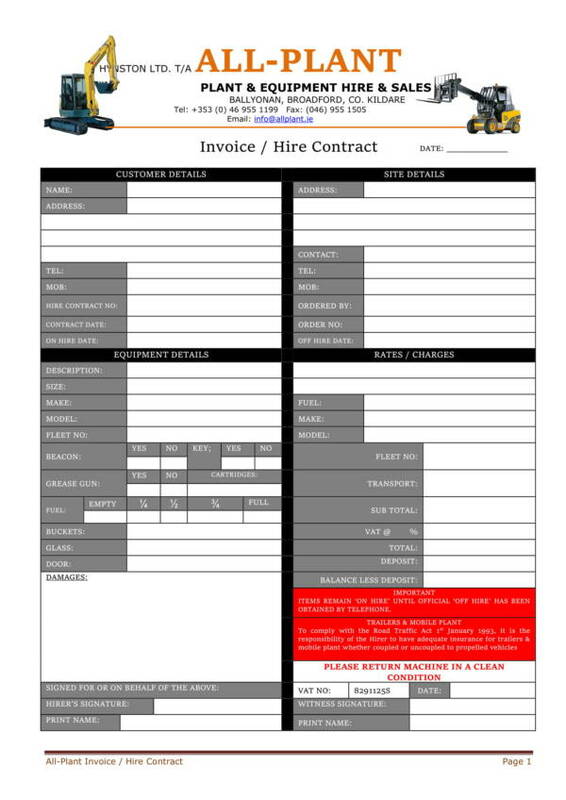 Can an equipment invoice template or just about any types of invoice template really help you? Of course it can. There are a lot of reasons why these templates are used and there are also a number of benefits that it provides its uses. The following are some of the advantages of equipment invoice templates. You may also see legal invoice samples. 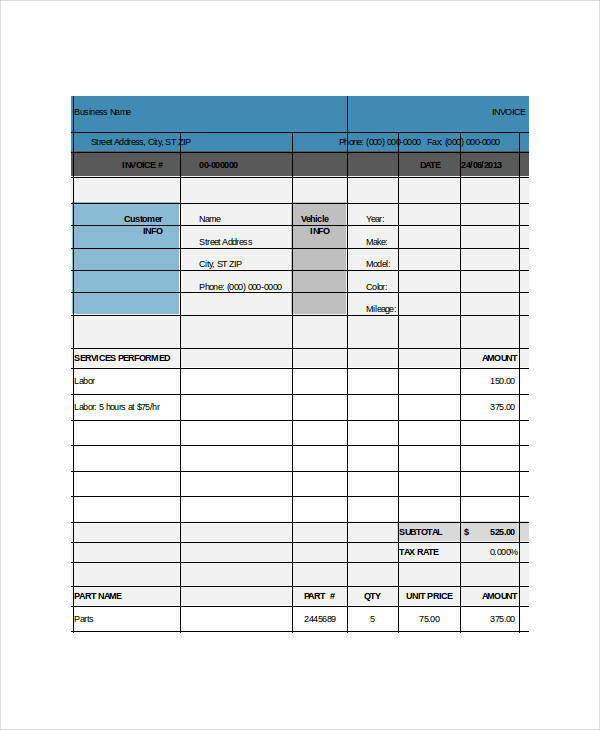 An equipment invoice template provides you with an already framed invoice that is ready to use. Equipment invoice templates contain a complete set of details to make sure that you will not miss any important information on any invoice you issue. There are different varieties of invoice templates online and most of them are available for free download so it will be fairly easy for you to look one that fits your needs. 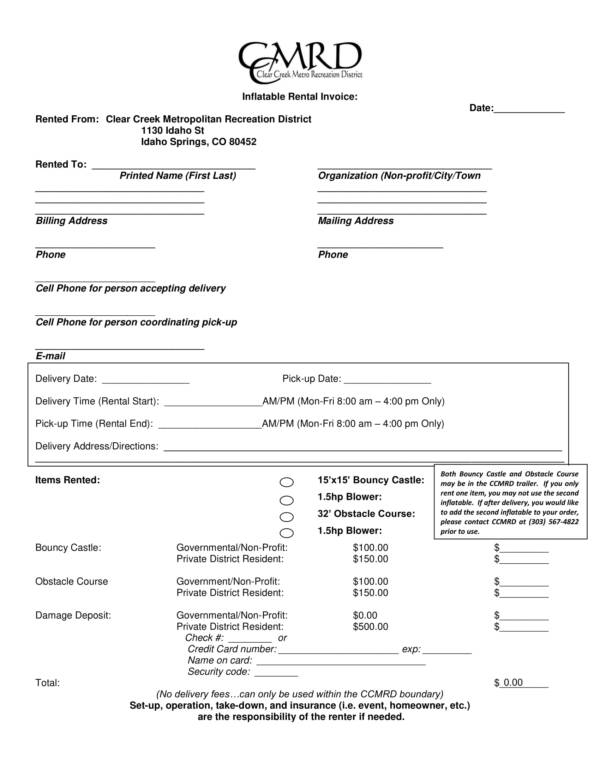 You may also like daycare invoice templates. Equipment invoice templates are often created in file types that are easy to edit, like Word or Excel. This allows you to make changes to some parts that you think are irrelevant to your business or add parts that you need. Invoice templates will help you save time and money. You can download and use free templates instead of making one or paying for one. We hope that this article is able to help you learn about equipment invoices and invoices in general. There are still a lot of things that you might need to learn about invoices. If you are interested, we have a variety of invoice topics that you can choose from on our website. To name a few are blank invoice samples, education invoice samples and templates, and personal invoice samples.